Donald Trump’s spokesman has denied that the US president refused to shake hands with German Chancellor Angela Merkel as they said side-by-side in the White House last week. “I don’t think he heard the question” posed by Merkel when she suggested they shake hands, in full view of press cameras, spokesman Sean Spicer told German weekly Der Spiegel published today. 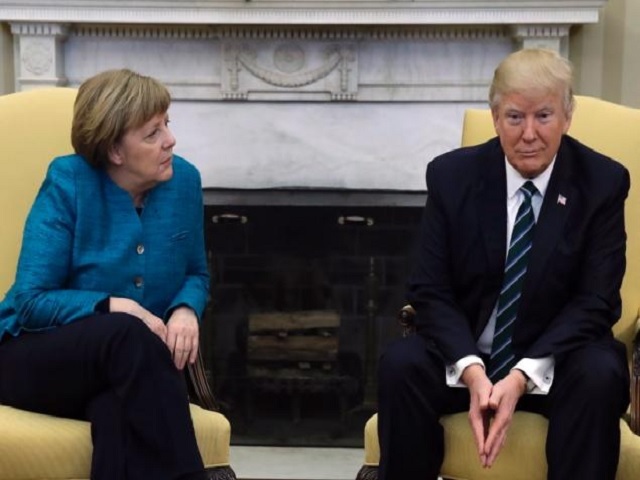 Donald Trump Angela Merkel meeting was eyed throughout the world. The visit on Friday began cordially, with the pair shaking hands at the entrance of the White House. But later, sitting side-by-side in the Oval Office, Merkel’s suggestion of another handshake went unheard or ignored by Trump an awkward moment in what are usually highly scripted occasions. German media pointed to the incident as another marker of the meeting’s general icy mood between the cautious German chancellor and impulsive US president. In a frequently awkward joint press conference in the East Room, Trump and Merkel showed little common ground as they addressed a host of thorny issues including NATO, defense spending, and free trade deals. For most of the 30 minutes, Merkel was stony-faced as Trump ripped into Washington’s NATO allies for not paying their “fair share” for transatlantic defense and demanded “fair and reciprocal trade” deals. Today, Germany’s biggest-selling daily Bild said that throughout the White House meeting, not once did Trump look her in the eye.